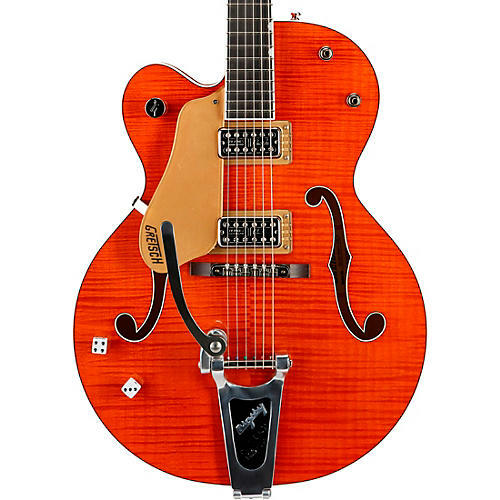 Gretsch Brian Setzer Nashville models are built to Brian's exacting specs and modeled on the guitars in his killer vintage collection. The trestle bracing matches that of Setzers favorite 59, giving it a more solid feel and tons of sustain. Standard features include 1959 trestle bracing, dual TV Jones Brian Setzer "Signature" pickups, Schaller locking tuners and strap locks, pinned Adjusto-Matic bridge, nickel hardware and Bigsby B6CB vibrato tailpiece.